"Innovation" is one of capitalism’s most popular buzzwords. Its function is to sustain the myth that business genius creates society’s wealth. This article is excerpted from John Patrick Leary’s Keywords: The New Language of Capitalism, published by Haymarket Books. For most of its early life, the word “innovation” was a pejorative, used to denounce false prophets and political dissidents. Thomas Hobbes used innovator in the seventeenth century as a synonym for a vain conspirator; Edmund Burke decried the innovators of revolutionary Paris as wreckers and miscreants; in 1837, a Catholic priest in Vermont devoted 320 pages to denouncing “the Innovator,” an archetypal heretic he summarized as an “infidel and a sceptick at heart.” The innovator’s skepticism was a destructive conspiracy against the established order, whether in heaven or on Earth. And if the innovator styled himself a seer, he was a false prophet. “We are now in a state of transmission to more beautiful dancing,” said Mamie Fish, the famed New York socialite credited with naming the dance. She told the Omaha Bee in 1914 that “this latest is a remarkably pretty dance, lacking in all the eccentricities and abandon of the ‘tango,’ and it is not at all difficult to do.” No longer a deviant sin, innovation — and “The Innovation” — had become positively decent. The contemporary ubiquity of innovation is an example of how the world of business, despite its claims of rationality and empirical precision, also summons its own enigmatic mythologies. Many of the words covered in my new book, Keywords, orbit this one, deriving their own authority from their connection to the power of innovation. The value of innovation is so widespread and so seemingly self-evident that questioning it might seem bizarre — like criticizing beauty, science, or penicillin, things that are, like innovation, treated as either abstract human values or socially useful things we can scarcely imagine doing without. And certainly, many things called innovations are, in fact, innovative in the strict sense: original processes or products that satisfy some human need. A scholar can uncover archival evidence that transforms how we understand the meaning of a historical event; an automotive engineer can develop new industrial processes to make a car lighter; a corporate executive can extract additional value from his employees by automating production. These are all new ways of doing something, but they are very different somethings. Some require a combination of dogged persistence and interpretive imagination; others make use of mathematical and technical expertise; others, organizational vision and practical ruthlessness. But innovation as it is used most often today comes with an implied sense of benevolence; we rarely talk of innovative credit-default swaps or innovative chemical weapons, but innovations they plainly are. The destructive skepticism of the false-prophet innovator has been redeemed as the profit-making insight of the technological visionary. Innovation is most popular today as a stand-alone concept, a kind of managerial spirit that permeates nearly every institutional setting, from nonprofits and newspapers to schools and children’s toys. The Oxford English Dictionary (OED) defines innovation as “the alteration of what is established by the introduction of new elements or forms.” The earliest example the dictionary gives dates from the mid-sixteenth century; the adjectival “innovative,” meanwhile, was virtually unknown before the 1960s, but has exploded in popularity since. The verb “to innovate” has also seen a resurgence in recent years. The verb’s intransitive meaning is “to bring in or introduce novelties; to make changes in something established; to introduce innovations.” Its earlier transitive meaning, “To change (a thing) into something new; to alter; to renew” is considered obsolete by the OED, but this meaning has seen something of a revival. This was the active meaning associated with conspirators and heretics, who were innovating the word of God or innovating government, in the sense of undermining or overthrowing each. The major conflict in innovation’s history is that between its formerly prohibited, religious connotation and the salutary, practical meaning that predominates now. Benoît Godin has shown that innovation was recuperated as a secular concept in the late nineteenth century and into the twentieth, when it became a form of worldly praxis rather than theological reflection. Its grammar evolved along with this meaning. Instead of a discrete irruption in an established order, innovation as a mass noun became a visionary faculty that individuals could nurture and develop in practical ways in the world; it was also the process of applying this faculty (e.g., “Lenovo’s pursuit of innovation”). Innovation as a count noun — that is, an innovation — was in turn the product of this process (e.g., “the new iPhone features innovations like a high-resolution camera”). But this new meaning evolved slowly. The concept’s old link to deceit and conspiracy shadowed its meaning into the twentieth century. Joseph Schumpeter, who elaborated an influential theory of innovation three years before the debut of the Innovation tango in his 1911 book The Theory of Economic Development, treated it as both a process and a product, with no sense of the old conspiratorial connotation. Schumpeter used “innovation” to describe capitalism’s tendency toward tumult and transformation. Critical to his definition is the distinction Schumpeter makes between innovation as the refinement of a process or product, and invention, the creation of something entirely new. Although innovation has been thoroughly rehabilitated and purged of subversion, it retains its old accent of individual prophetic vision, the talent of those who, as Hobbes said of “innovators” in 1651, “suppose themselves wiser than others.” It is not that innovation has lost its old moral connotation; instead, it has reversed. What we once regarded as deviant and deceitful is now praised as visionary. In a 2011 reflection on the late Apple computer executive Steve Jobs, probably the archetypal hero-innovator of our time, a San Francisco Chronicle author praised his “constant desire to innovate and take chances.” Here, the verb is used intransitively, in the more modern sense — that is, there is no direct object — but it lacks even the faintest hint of a reference. Jobs is no longer innovating on or upon anything in particular, which can make “innovate” sound like a kind of mantra. 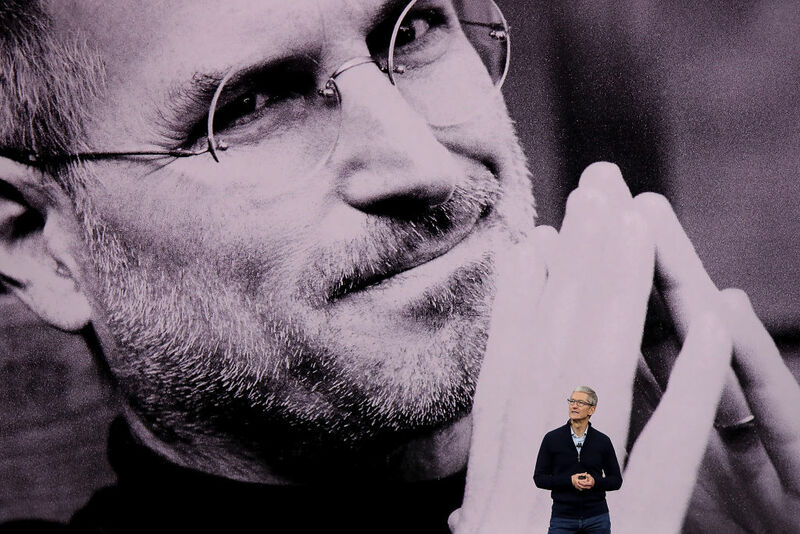 “If you don’t innovate every day and have a great understanding of your customers,” a Denver processed cheese executive told the Denver Post in 2010, “then you don’t grow.” And when the author of a Wall Street Journal obituary for Jobs writes that the Apple executive was a “secular prophet” who made innovation “a perfectly secular form of hope,” it is apparent that the term has never really lost its old association with prophecy. Other than mystifying creativity itself — which now looks more like an intuitive blast of inspiration, like an epiphany, and less like work — “innovation” gives creativity a specific professional, class dimension. It is almost always applied to white-collar and profit-seeking activities, although its increasing popularity in educational contexts only reflects the creeping influence of market-based models in this field. Quality organizations are supposed to cultivate it in their employees by giving them the freedom to work independently and creatively. Rarely do we hear of the innovative carpenter, plumber, or homemaker, in spite of the imagination, improvisation, and managerial skills required of each. Business publications issue rankings of the “most innovative countries in the world,” a curious usage that describes a) a capacity constrained by national borders, as if creativity dissipates or increases when one leaves passport control; and at the same time b) an intrinsic human talent unconstrained by fields, industries, or media. Another example of the term’s increasing mystification is the acceptability of the tautological construction “to innovate innovation.” “Who’s the Best at Innovating Innovation?” asks the Harvard Business Review; the same publication sponsors a lucrative prize called the “Innovating Innovation Challenge.” One can “innovate” without having to act upon any process or idea other than the act of innovation itself. One simply innovates in circles, forever. Innovation is an example of the ways in which the production and circulation of commodities becomes imbued with fantastic and even theological properties detached from the labor that produces them, or in the case of many common uses of the verb “to innovate,” detached from any object. So when liberal politicians promote an “innovation agenda” that includes student debt forgiveness for “startup founders,” as Hillary Clinton did during her 2016 presidential campaign, it is unclear how this differs from any other form of corporate welfare. And when conservative politicians or CEOs lament how labor unions or public regulation of the private sector “impede innovation,” we can recognize this as both a ludicrous obfuscation but also another example of the bourgeois contempt for labor. Innovation is thus a theological concept which became a theory of commodity production and which has lately become a commodity itself. The innovator, meanwhile, has always been identified with novelty and visionary charisma. But where the innovator’s visions were once widely feared as venal and destructive, now innovation is understood as the refinement of a technical process, in which creativity is turned to profit. But as the mythic figure of Jobs makes clear, rather than replacing prophecy with procedure, modern celebrations of innovation supplement each with the other. From the business world to education and politics, innovation is simultaneously spiritual and technological, both an individual’s reaction against bureaucratic malaise and the spirit of anti-orthodox creativity to be cultivated by the same bureaucracy. Innovation, therefore, is a strangely contradictory concept, simultaneously grandiose and modest, saccharine and pessimistic. The prophetic meaning embedded deep in its history allows innovation to stand in for nearly any kind of positive transformation, doing for the twenty-first century what “progress” once did for the nineteenth and twentieth. In the United States, innovation also suggests a high-tech update to the myth of “Yankee ingenuity” or “know-how” — the spirit of mechanical cleverness and entrepreneurial energy once associated with New England’s artisan class. Like the mythical inventors of the American industrial age — Alexander Graham Bell and Thomas Edison tinkering in their workshops — the innovator is a model capitalist citizen for our times. But the object of most innovations today is more elusive: you can touch a telephone or a phonograph, but who can lay hands on an Amazon algorithm, a credit-default swap, a piece of proprietary Uber code, or an international free trade agreement? As an intangible, individualistic, yet strictly white-collar trait, innovation reframes the cruel fortunes of an unequal global economy as the logical products of a creative, visionary brilliance. In this new guise, the innovator retains both a touch of the prophet and a hint of the confidence man. John Patrick Leary is an assistant professor of English at Wayne State University.